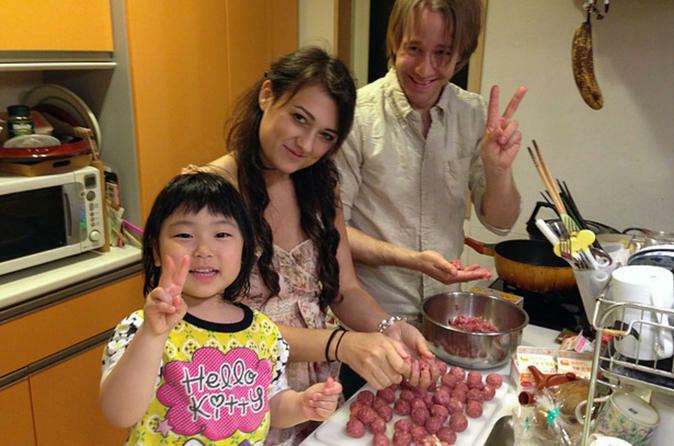 Treat your taste bud to an authentic Japanese cuisine from homemade rolled sushi to Shiratama shiruko (sweet redbeens paste with rice paste) with Marie and her family in a local Tokyo neighbourhood! Rich in experience for hosting international guests, Marie loves to engage in cultural exchange to share her knowledge of Japanese culture while learning about travelers' stories. It would be ideal for family to participate as well because Marie's 2 adorable children would be thrilled to meet you and greet you with Konnichiwa! All the Ingredients, Recipes, Drinks, Rental apron are included. 1 Main, 1 side dish, 1 dessert, rice and Miso soup. You will be able to learn some local Japanese Daily foods! Feel free to contact me if you have any queries, I will be happy to answer them!